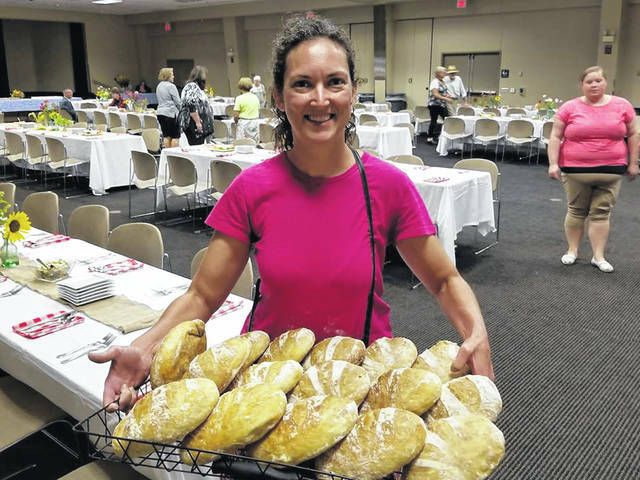 Main Street Portsmouth is preheating the ovens for their annual celebration of the Farmers Market and local cottage industry businesses, and evening of good food and better friends, known as the Farm to Table Dinner. 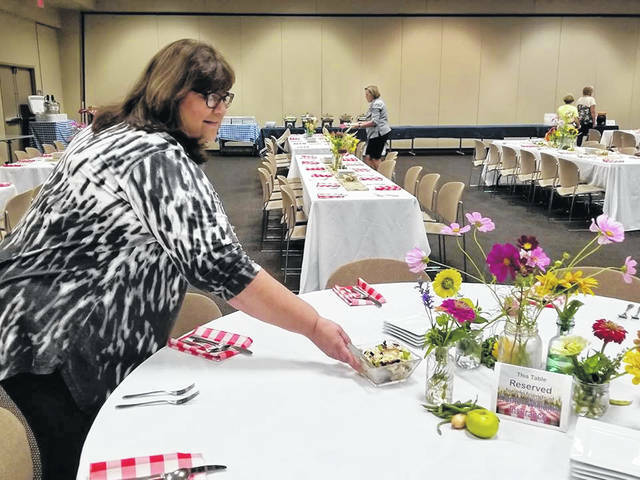 The dinner reservation is for August 2, 6 p.m., at the SOMC Friends Center and the menu features a list of farm-fresh foods. Dinner will entail locally sourced goods, all fresh and of the highest of quality. The menu will showcase slow-roasted, fork-tender pot roast, green beans and red potatoes, and freshly baked bread. Dessert will be a berry or peach cobbler, which will slide into the ovens as dinner is served, so it hits the plates hot from the oven. The dinner also comes with access to local brew at their open bar, in which Portsmouth Brewery thanks guests for attending with Red Bird and Portsmouth Pilsner. Volunteer Sara Pratt, of US Bank, will help serve guests over 21. One of the biggest transitions with the event this year is the serving style. The dinner is moving away from a board member served buffet, to family-style serving. Guests will remain seated while volunteers deliver serving bowls to the tables. Guests will be able to serve themselves with what is brought to the table. The group is searching for the perfect mismatched serving bowl collection to use over the years. Sharon Bender, of Ghost in the Attic, has already delivered a box of old dishes. 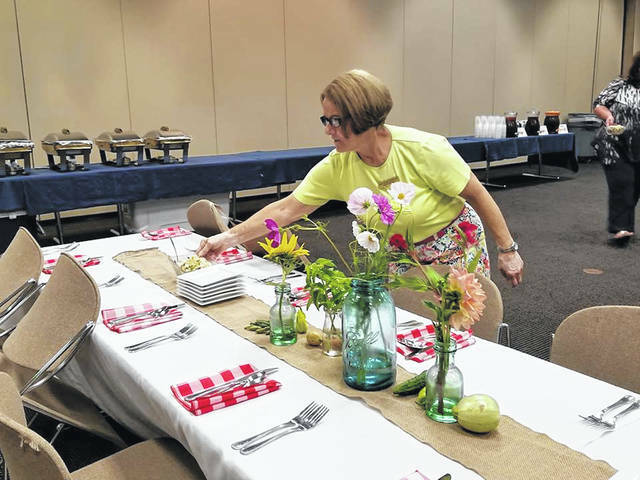 Also adorning the tables will be flower arrangements by the farmers market’s talented floralist, Barb Davis, of Hog Lot Flowers. Local musician, Mr. Andy Russell, will be performing his acoustic tunes into the evening. He will break for dinner, to enjoy a meal with guests, and then wrap the evening up with his guitar once more. Mr. Donnie Rachford will entertain guests with his talented auctioneer skills during the pie auction. The auction pies are donated my farmers market vendors and area businesses. Some of the highest selling pies have been baked by the record-holding DeAtley children, who have grown up at the market, attending with their parents and grandparents. Admission to the event is $30 in advance and $35 at the door, pending tickets are left. Anyone wanting a table of their own, whether for a family or a business, can sponsor one for $300. The will get a special reservation at a round table, versus the rectangular rows for guests. Tables will seat eight (8) guests and are only $300 for the meal, entertainment, and open bar. Plenty of businesses enjoy this event and return year after year. Some of the early table participants include OSCO, Glockner, Copies Galore, Peoples Bank, Shawnee State University, Jake Sulzer of State Farm, and Hunter Williams Insurance. Proceeds will benefit the many Main Street Portsmouth projects that focus on events, beautification, placemaking, and recreation. The Farmers Market is made possible through hardworking volunteers, staff, and the Scioto County Commissioners. It continues throughout October, every Saturday morning between 9 a.m. and noon, on the Roy Roger Esplanade.